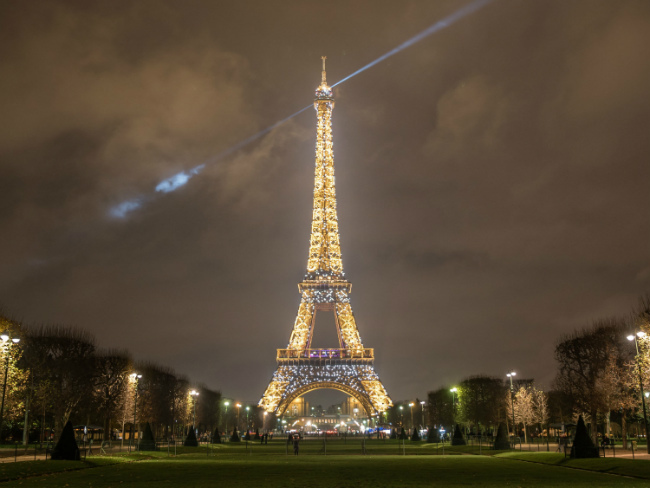 For the very first time in its history, the most iconic landmark in the City of Light is undergoing extensive refurbishments to improve, and beautify, the Eiffel Tower experience. 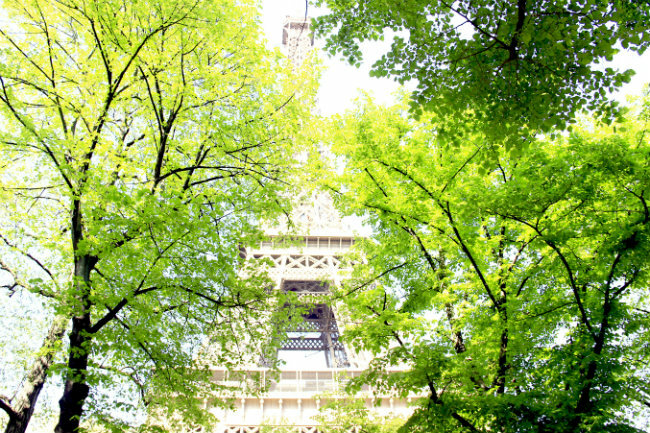 The far-reaching project, led by SETE, the Eiffel Tower Operating Company (Société d’Exploitation de la Tour Eiffel), is set to take place over the next 15 years, as the capital prepares to host the 2024 Olympic Games as well as the 2025 World Expo. During this period, the Iron Lady will have a complete makeover from head to toe to be all set for these major events. 2018 is a milestone year for the current large-scale restoration program. 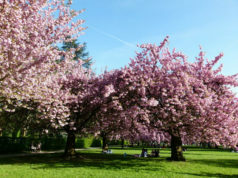 The goal of the garden redesign is to create a peaceful and attractive space, while also ensuring safety, offering a secure spot for rest and contemplation. Since mid-March, visitors have discovered new pathways and improved landscaping which offers new, unparalleled views of the landmark. 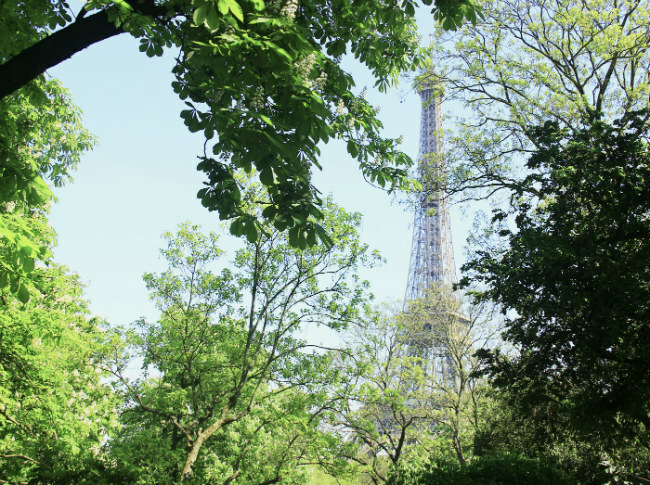 The walk guides tourists and locals through the gardens to get to the Eiffel Tower. Outdoor furniture will complete the décor of the scene. For environmental sustainability, the local flora and fauna will be preserved. A protective enclosure will also surround this green setting. The main alleys of Refuzniks and Jean Paulhan will be bordered by a metal fence, 10.63 feet high, whose transparency will offer a secured visit as well as an aesthetically attractive view of the new space around the Iron Lady. The glass barriers, allowing for controlled access to the site, will surround the north and south sides of the tower and will blend into the landscape. The exits will also be upgraded to be composed of glass drums and airlock equipment with doors for people with reduced mobility. The expansive restoration of the second floor, completed at the beginning of April, improves the Eiffel Tower experience with a better welcome. The whole floor has been entirely redesigned and modernized with new furniture and a major innovation: an interactive digital animation that pays tribute to all major cities worldwide that have hosted the Olympic Games. The other renovations include a brighter gallery, shops with updated décor, wood flooring and ceilings with a fresh design. From acoustics to lighting, the efforts to enliven the second-floor space were extensive. The project to repaint this architectural masterpiece represents both major technical and human challenges. The workers strip the tower to apply 60 tons of paint that is designed to preserve the structure’s iron and steel. The tower has been entirely repainted every seven years, and it usually takes 20 months to complete the traditional painting. 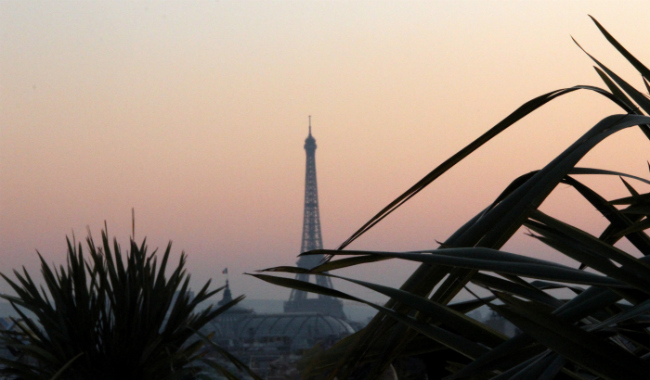 This 20th campaign to paint the Eiffel Tower will begin in the fall of 2018. It is an important moment in its history, as it turns out to be the most complex painting process since its construction. It will be necessary to remove the old layers of paint on about 10 percent of its surface to create a long-lasting and attractive look. 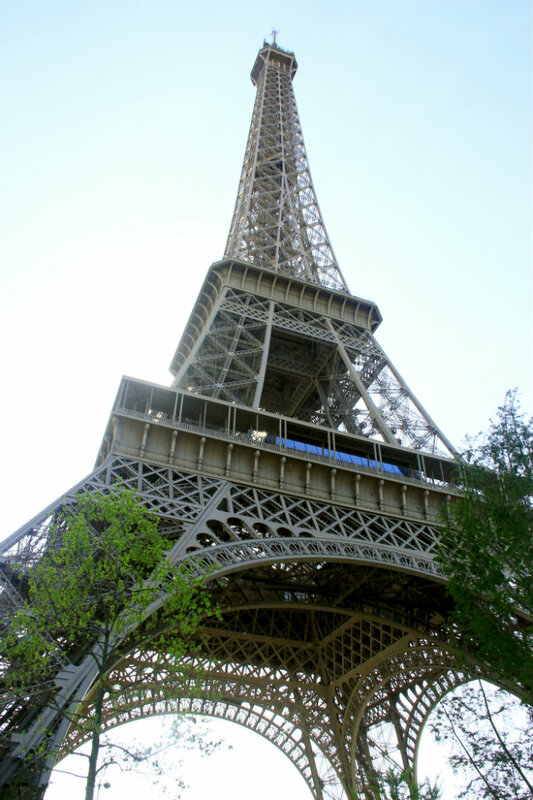 The “Eiffel Tower Brown” color was specifically designed for the iconic monument, and is now a symbol of the Parisian cityscape. Since 1968, the Iron Lady has been coated with three shades of the emblematic color, the lightest at the top and the darkest at the bottom, to emphasize its slender elegance. Previously, the Eiffel Tower was repainted in a variety of hues since its creation. The monument’s original look was a reddish-brown paint in 1889. It then sported a gradation of an orange-yellow color in 1899. Then it was painted a brownish-red color in the 1950s. The North Elevator, dating from 1964, is undergoing a three-year restoration to enhance performance, efficiency and safety this spring. This process will require great precision and unique know-how from the teams in charge of the work. The technology improvements will consist of renovating the pulleys, the cabin, the automation system and the track. This will not only allow an increase in the capacity of the elevator but also make it easier for the employees of SETE to undertake regular maintenance. The organization performs checks every day to ensure the smooth running of the facilities. The modernization process will reduce waiting times and ensure optimum visitor flow. The number of tickets sold online will be adapted accordingly for the duration of the work. The lift will be available to the public in the first quarter of 2021. 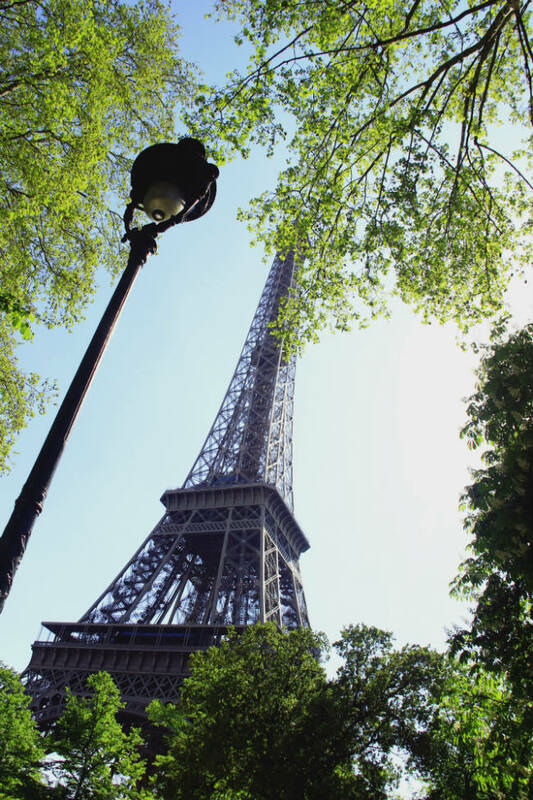 The redesign of the signage to get to the Eiffel Tower is an important initiative, so that one of the most visited landmarks in the world becomes even more accessible for all its visitors. The program will improve the signs, and provide better signage layout for the surrounding garden areas and inside the monument. Last but not least, SETE will undertake an extensive restoration of the ticketing system. As the efforts are focused on considerably reducing waiting times, the number of tickets to be sold online will significantly increase in the coming years. Thus, 50 percent of the tickets will be sold online this summer, then 60 percent in 2019, reaching 80 percent in 2021. 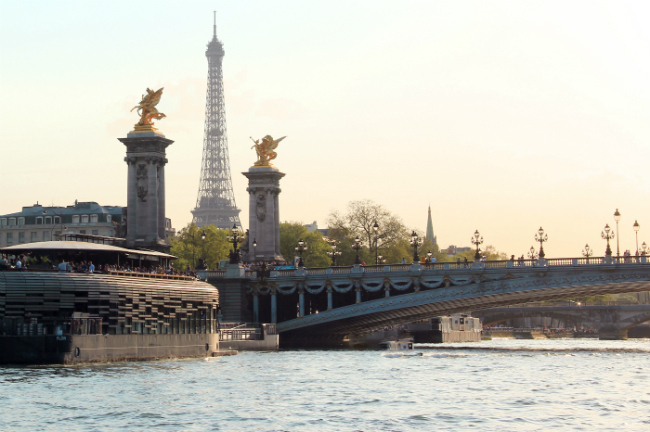 The enduring monument was specifically built to mark the 1889 World’s Fair in Paris, held to commemorate the 100th anniversary of the French Revolution. Its construction took two years, two months and five days. Originally the tower was controversial among artists, but since then the impressive structure has been a great source of inspiration for countless writers, painters, singers, sculptors… There are even replicas around the world. It was never meant to last, as it was originally intended to only stand for 20 years. But the tower was saved, thanks to it usefulness as a wireless telegraph transmitter. 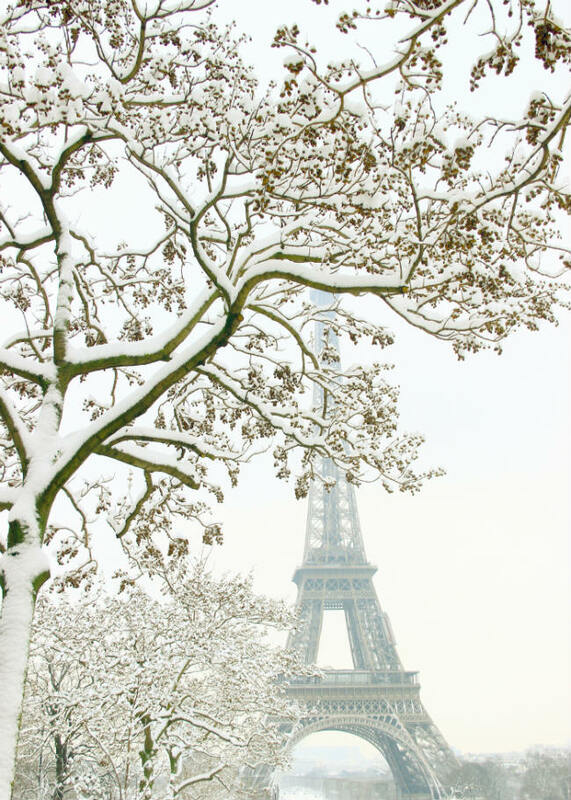 The Eiffel Tower is now the emblematic symbol of France. The Iron Lady remains standing tall and proud to dominate the skyline of Paris, and radiates a special beauty when it sparkles at night with its diamond lights. On average, 6 million visitors a year look up at this gorgeous architectural masterpiece in awe. 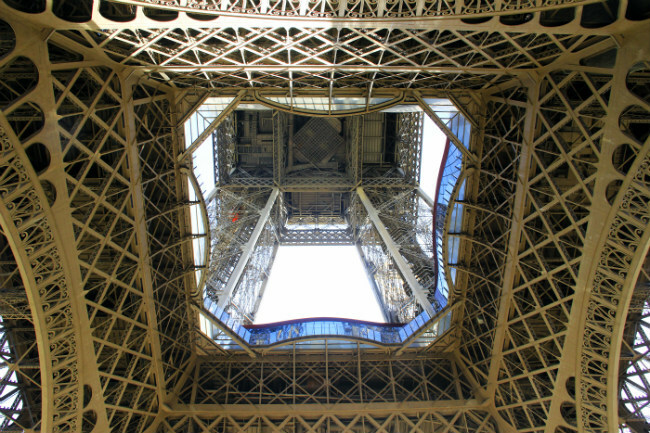 The lattice iron structure is 1,063 feet high and weighs 10,000 tons. 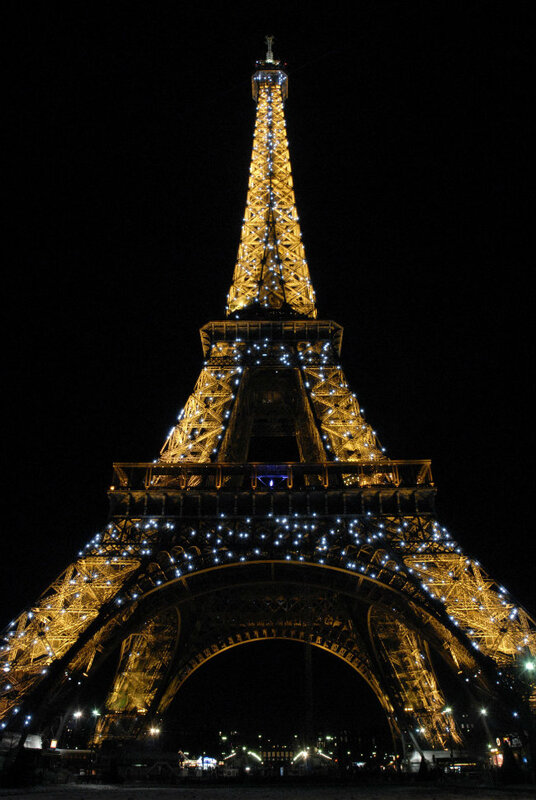 It is made of 18,000 assembled pieces of wrought iron joined together by 2.5 million rivets with 20,000 bulbs, and with 1,665 steps to get to the top. 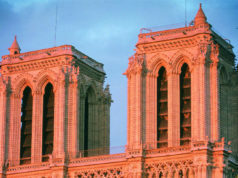 The landmark was successfully restored in 1890, 1900, 1937, 1981 and 2011. Throughout the renovations, the Iron Lady will continue to enchant locals, tourists, lovebirds, photographers, and arts and history lovers from all over the world. It will still be open 365 days a year, while its beam of diamond lights will still lighten the skyline of Paris every night. The work will not impact the attraction’s hours, though the construction may alter the aesthetics of the relevant areas. 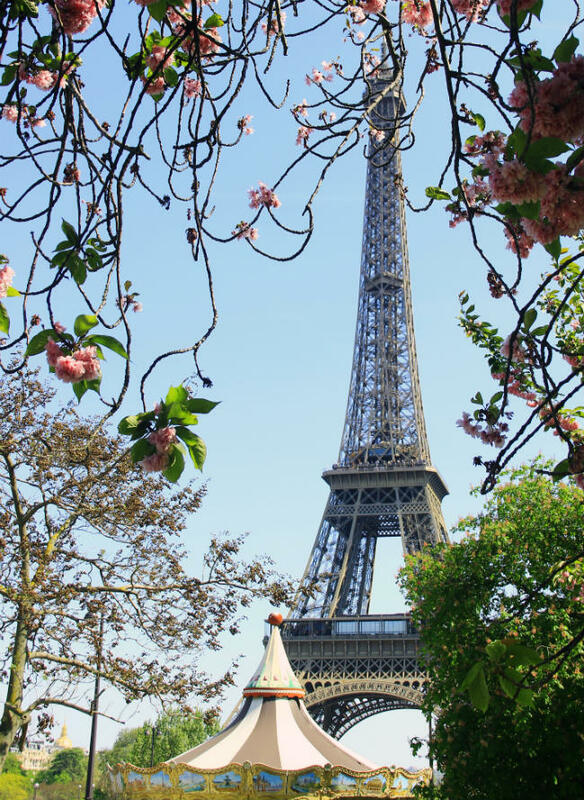 The Eiffel Tower is located at Champ de Mars, 5, Avenue Anatole France in the 7th Arrondissement. It is open from Monday through Sunday from 9:30 p.m. to 11:45 p.m. with the elevator and from 9:30 to 6:30 p.m. with the stairs. Opening hours during the summer (July 7 to September 1): Monday through Sunday from 9 a.m. to 12:45 a.m (with the elevator and the stairs). Born in Rouen, Normandy, Sarah Fauvel lived in the United-States for two years to experience the American culture that she loves. 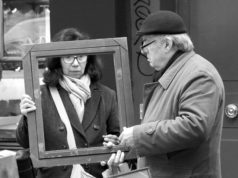 During her career, she developed communication and writing expertise in different fields, with a lifelong passion for photography, writing and travel. 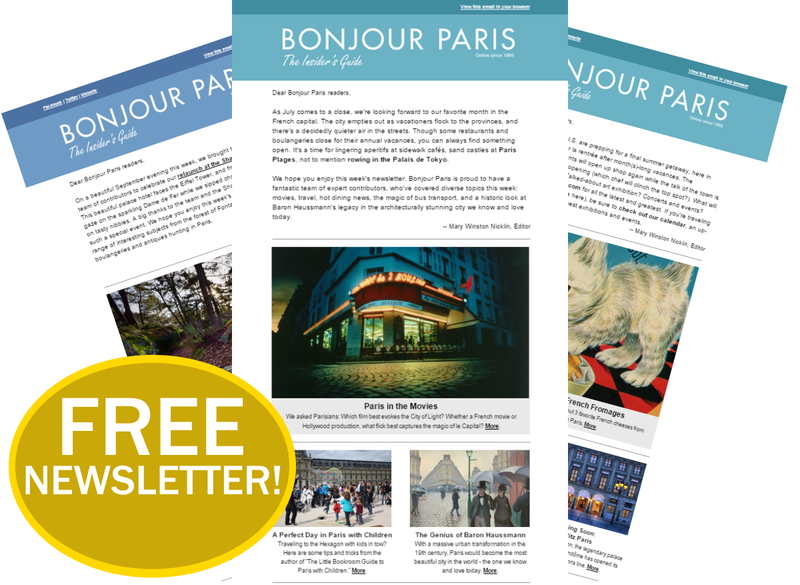 Sarah enjoys writing about her discoveries of the alluring places in Paris . . . or anywhere else. She currently works in Paris. I am so sorry for my belated reply Bea! And thank you so much for your comment! I am glad that you like the photos of the Iron Lady. Wonderful article and helpful for me to know what to expect when I visit this fall! Will the elevator to the very top still be in operation later this year? I apologize for my belated reply Jill. Thank you so much for your comment. I confirm that, even if the North Elevator is undergoing a three-year restoration, the lift to go to the top will be in operation later this year. There will not be any services disruption during the refurbishments. 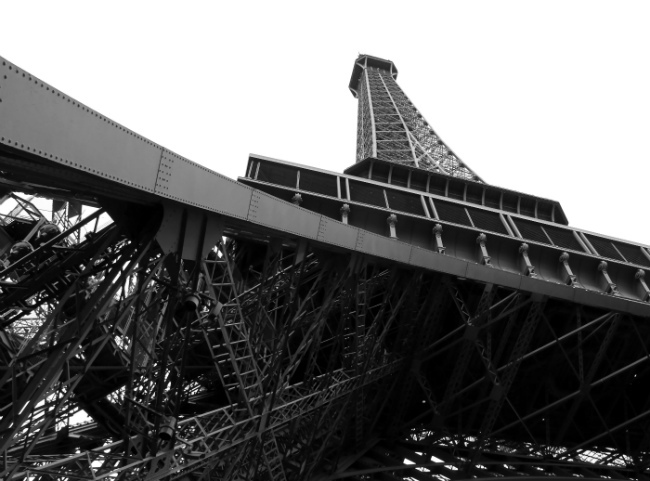 I hope that you will enjoy the new Eiffel Tower experience!